11,40 € прибл. 820,48 руб. The König & Meyer 15222 is a black compact and robust clarinet stand. The König & Meyer clarinet stand impresses with its unique compact design. The black plastic peg is suitable for all common clarinet models. 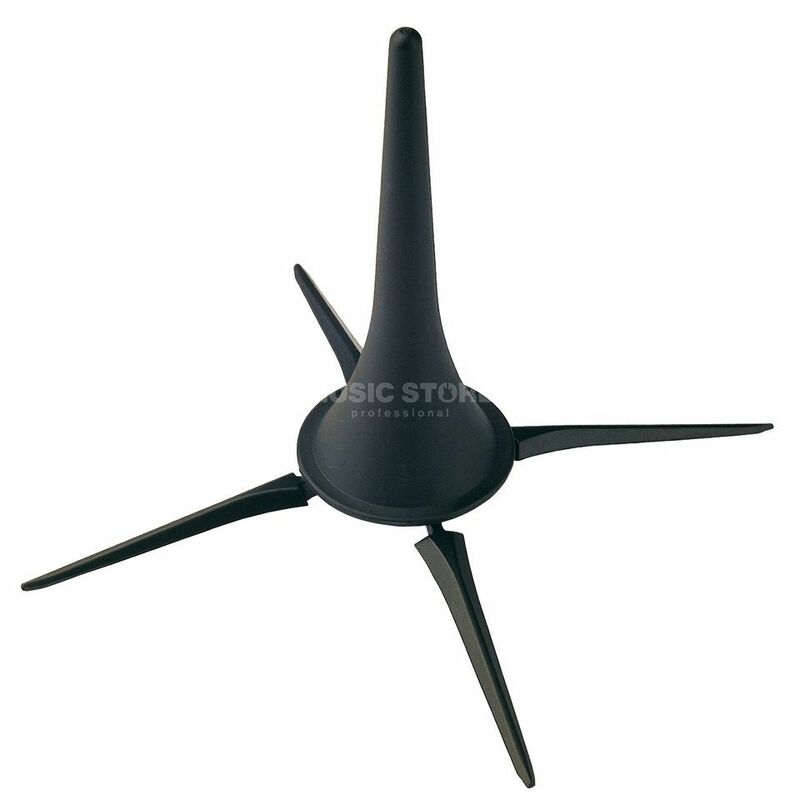 The four-leg base provides maximum stability for your instrument. Extremely convenient transportation issue to be solved: the base is unscrewed and pushed into the cone. Thus, the stand can be stored in the bell of the clarinet.